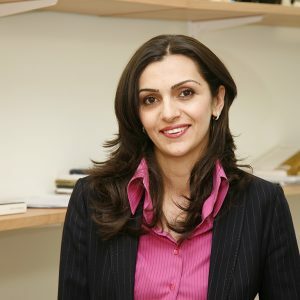 Vahram Ter-Matevosyan specializes in Turkish domestic and foreign policy, Regional Security and Conflicts in the post-Soviet Space. He has received his Dr. Philosophy Degree from the University of Bergen (Norway), Master’s degree from Lund University (Sweden), Candidate of historical sciences degree from the Institute of Oriental Studies and Yerevan State University (Armenia). He was Visiting Professor at Duke University, NC (2016), Fulbright Scholar at the University of California, Berkeley, CA (2009-2010) and Visiting Doctoral Student at the University of Washington, Seattle, WA (2005). 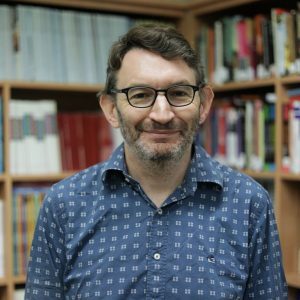 He authored an award-winning monograph “Islam in the Social and Political Life of Turkey, 1970-2001” in 2008 and co-authored “History of Turkish Republic” in 2014. 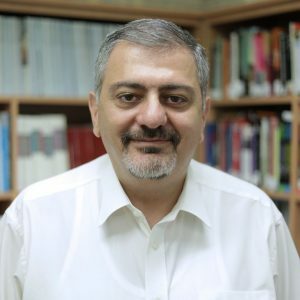 His research articles have been published in “Nations and Nationalism”, “Europe-Asia Studies”, “Turkish Studies”, “Middle Eastern Studies”, “Insight Turkey”, “Eurasian Geography and Economics”, “Turkish Review”, “Caucasus Survey”, “Journal of Southeast European and Black Sea Studies”, “Iran and the Caucasus”, “Diaspora Studies”, “Études Arméniennes Contemporaines”, “Caucasus Analytical Digest”, “UC Berkeley Armenian Studies Program Occasional Papers”, “Contemporary Eurasia” etc. “Turkey, Kemalism, and the Soviet Union: Problems of Modernization, Ideology and Interpretation”, New York & London. Palgrave Macmillan 2019. “History of Armenia: Country Survey” in Eastern Europe, Russia and Central Asia 2019, 19th edition, ed. Dominic Heaney, London and New York, Routledge, 2018, 55-61. “Track two Diplomacy between Armenia and Turkey: Achievements and Limitations”, Caucasus Analytical Digest, 2016, July, no. 86, pp. 3-6. “The Kars-Akhalkalak railway project: Why Armenia Should Revisit its Position”, Turkish Review, 2016, v. 6, no. 3: pp. 130-135. “Kemalism and Communism: From Cooperation to Complication”, Turkish Studies, 2015, v. 16, no. 4, pp. 510-526. “Turkish Experience with Totalitarianism and Fascism: Tracing the Intellectual Origins”, Iran and the Caucasus, 2015, v. 19, no. 4, pp. 387-401. “Armenia and the Ukrainian Crisis: Finding the Middle Ground”. Caucasus Analytical Digest. December 2014, no. 67–68, pp. 14-17. “The Rebirth of Turkish Studies in Armenia”, Turkish Review, v. 4, no. 3, 2014, pp. 350-351. “The Armenian Community and the AK Party: Finding Trust Under the Crescent”, Insight Turkey, v. 12, no. 4, 2010, pp. 93-111. Donald E. Fuller received an A.B. degree in Social Psychology from Colgate University and a Ph.D. degree from the University of Pittsburgh in Public Administration, Pittsburgh, Pennsylvania. He is a Fellow of the Institute for Court Management, Denver, Colorado, and holds a certificate as Interpreter in Russian, from the U.S. Navy Language School. 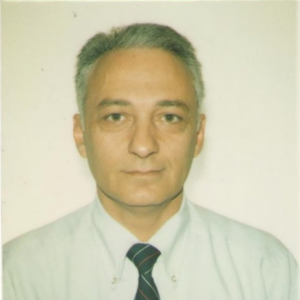 He taught 19 years at the University of Southern California, School of Public Administration, eight years at the American University of Armenia during which he was a Fulbright professor for one year; thirteen years at the Anglo American University in Prague, Czech Republic including two years in the Faculty of Social and Economic Science, Comenius University, Bratislava, Slovakia. 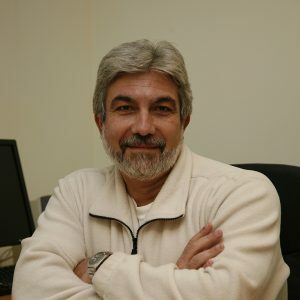 He is Professor Emeritus at American University of Armenia and recently has been a Senior Professor at AUA in Political Science and International Affairs. Most recently he served as Interim Provost, American University of Armenia. His research interests are in political economy and governance. He has published articles, book chapters and conference papers in these fields. Kenney, John P., Dan G. Pursuit, Donald E. Fuller and Robert J. Barry. Police Work with Juveniles and the Administration Of Justice, Sixth edition. Springfield, Illinois: Charles C. Thomas, 1980; Seventh edition, 1989; Eighth edition, 1995. Lawson, Harry O., H.J.R. Ackerman and Donald E. Fuller, Personnel Administration in the Courts. Boulder, Colorado. Westview Press, 1979. Lawson, Harry O., H.R. Ackerman, Jr. and Donald E. Fuller. Personnel Administration in the Courts. Washington, D.C.: The American University, 1978. “Impact of the 2007-2010 Recession on Central and Eastern Europe and the Solution Dilemma,” in Jurak, A.P. and Pinteric, U. (eds.) (2010), Contemporary World between Freedom and Security, Ljubljana: Zalozba Vega, ISBN 978-961-92951-1-3. “Policy Implications for Visegrad Four Countries in Potential Policy Spaces Deriving from Demographic Change as a ‘Systemic Variable,’ in Starovoa, K. and Vass, L. (eds) (2009), Public Policy and Administration: Challenges and Synergies, Bratislava, Slovakia: Network of Institutes and Schools of Public Administration in Central and Eastern Europe, ISBN 978-80-89013-43-2. “Impact of Recession, 2007-2009, on Central/Eastern Europe and CIS,” in Pinteric, U., et al. (eds), (2009), Global Instability Reflections, Ljubljana:Vega, ISBN: 978-961-92649-3-5. “Democracy and Democracy Promotion: World Tendencies and Regional Experiences,” in Sergi, B.S. and Bagatelas, W.T. (eds), (2007), Economic and Political Development Ethics and Beyond, Bratislava: IURA Edition, Spol.s.r.o. “Vertical and Horizontal Strains on Administrative and Policy Vectors in Structures Affecting and Affected by Supranational Impacts: The Case of the EU, Its Member States and the World Trade Organization,” in B. Guy Peters, Georg Sootla and Bernadette Connaughton (eds), 2006, Politico-Administrative Dilemma: Traditional Problems and New Solutions, Bratislava, Slovakia: Network of Institutes and Schools of Public Administration in Central and Eastern Europe. “Analyzing Policy Formulation in the Czech Republic: The Case of the Temelin Nuclear Reactor,” in Bryane Michael, Rainer Kattel and Wolfgang Drechsler, (eds), Enhancing the Capacities to Govern: Challenges Facing the Central and European Countries, Selected Papers from the 11th NISPAcee Annual Conference, Bucharest, Romania 2003, Bratislava: NISPAcee, 2004. “Privatization: A Comparative Focus,” in Randall Baker (ed. ), Comparative Public Management. Westport, Connecticut: Praeger, 1994. “Personnel System Operations in Judicial Administration,” in Steven W. Hays and Cole B. Graham, Jr. (eds). Handbook of Court Administration and Management. New York: Marcel Dekker, 1993. “Professionalizmi I Vidpovidal’nist,” Uriadory: Kurier, May 27, 1993, Kiev, Ukraine. Fuller, Donald E. and Dan Pursuit. “Guidelines for Improvement Of the Juvenile Justice System.” The National Sheriff, 31 (4), 1979. Harry O. Lawson, Donald Fuller and Nancy B. Elkind. “Education in Judicial Administration.” National Shorthand Reporter, 39 (9), 1978. Harry O Lawson, H.R. Ackerman, Jr. and Donald E. Fuller. “Unionizing the Courts.” The Judges Journal, 17 (4), 1978. Simon R. Clarke specializes in political philosophy and the history of political thought. He studied at the University of Auckland, New Zealand and received his doctorate from Oxford University. Before joining AUA, he taught at the University of Canterbury (NZ) and Asian University for Women (Bangladesh) and has also been a visiting scholar at Princeton University. 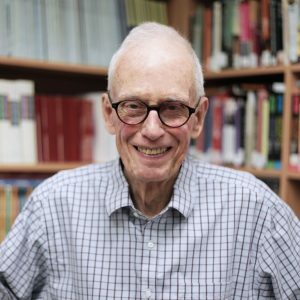 He is the author of Foundations of Freedom: Welfare-Based Arguments Against Paternalism (Routledge, 2012) as well as articles published in the Journal of Political Philosophy, Political Studies, Ethical Perspectives, and Critical Review of International Social and Political Philosophy. Book: Foundations of Freedom: Welfare-Based Arguments Against Paternalism (New York and Oxford: Routledge 2012). ‘Mill, Liberty, and Euthanasia’ Philosophy Now, Oct/Nov 2015, p. 12-13. ‘Consequential Neutrality Revivifiedʼ, in Daniel Weinstock and Roberto Merrill (eds.) Political Neutrality: A Re-evaluation (Palgrave Macmillan, 2014). ʻA Trust-Based Argument Against Paternalismʼ, in Pekka Makela and Cynthia Townley, editors, Trust: Analytic and Applied Perspectives (New York: Editions Rodopi, 2013). ʻProphylactic Neutrality, Oppression, and the Reverse Pascalʼs Wagerʼ, Ethical Perspectives, 19/2, 2012, pp. 527-535. Yevgenya Jenny Paturyan specializes and has interest in the sphere of civil society, political culture, volunteering, democratization of post-communist countries, research methodology and corruption. She received her PhD in Political Science from Jacobs University Bremen. 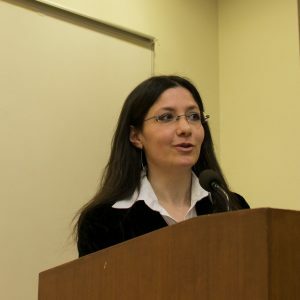 Prior to joining AUA, she worked at Eurasia Partnership foundation and at Caucasus Research Resource Centers – Armenia. 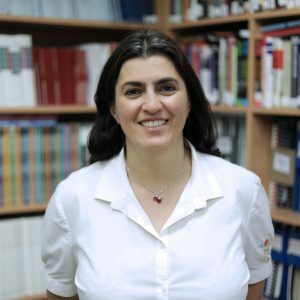 She is the team leader of a four-year research project about Armenian civil society and has authored publications in peer-reviewed journals. Dr. Jenny Paturyan is an AUA PSIA alumna. Varies depending on teaching schedule. Also by appointment. “Re-emerging Civic Activism: Restoring the Ecosystem of Armenian Civil Society” in Civil Society in the Global South, ed. Palash Kamruzzaman, London and New York, Routledge, 2018, 54-70 (coauthor V. Gevorgyan). “Armenian Civil Society: It is Not All About NGOs.” Caucasus Analytical Digest 73: 2-5, 2015. “Is ‘Googling’ a Technique? What the Internet Can Tell Us about the Non-Governmental Sector in Armenia.” Haigazian Armenological Review 34 (July): 257–67, 2014. (coauthors Valentina Gevorgyan, and Mariam Matevosyan). “Trust towards NGOs and Volunteering in South Caucasus: Civil Society Moving Away from Post-Communism?” Southeast European and Black Sea Studies 14 (2): 239-62, 2014 (coauthor V. Gevorgyan). “(Dis)Trusting People and Political Institutions in Armenia.” Caucasus Analytical Digest 31: 6-10, 2011. Civil Society and Democracy: Disentangling Mutual Influences. VDM Verlag Dr. Müller: Saarbrücken, 2011. “Perceptions of Corruption in Armenia: Growing Disappointment and Detachment?” In Adam Hug (ed) Spotlight on Armenia. London: The Foreign Policy Centre. Pp 29-35, 2011 (coauthor Jrbashyan Nairuhi). Vache Gabrielyan specializes in public administration and economics. 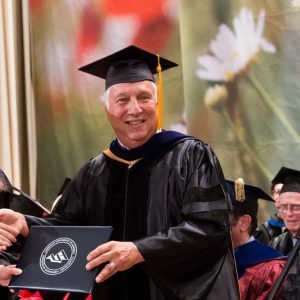 He studied at the Yerevan State University and received his Doctor of Philosophy in Public Administration from Rutgers University. 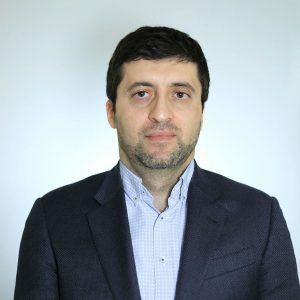 He has served as Vice-Governor of the Central Bank of Armenia (2008-2010), Minister of Finance (2010-2012), Minister-Chief of Government Staff (2013-2014), Chief Advisor to the Prime Minister (May – November 2014), as well as the Deputy Prime Minister of Armenia, and the Minister of International Economic Integration and Reforms (2014-2018). 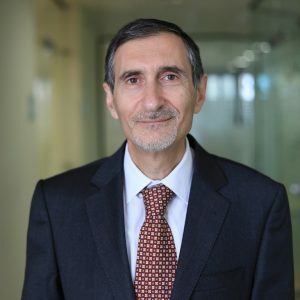 Effective January, 2019 Dr. Vache Gabrielyan has been appointed as Dean of the Manoogian Simone College of Business and Economics (CBE). Dr. Vache Gabrielyan is the author of a number of scientific papers published in Armenia and abroad. Red Tape from Red Square: Bureaucratic Commentary in Soviet Graphic Satirical Art, with Marc Holzer, Iryna Illiash and Lyudmila Kuznetsova, National Sector for Public Productivity, 2010. “Bureaucracy on the Silver Screen: A World-Wide Perspective.” Co-editor: Marc Holzer, Public Voices, Vol. 4, No. 2 (2000). “Post-Soviet Bureaucracy: Change and Continuity,” Co-editor: Marc Holzer, special issue of the International Journal of Public Administration, Vol. 22, No. 1, 1999. “Discourse in Comparative Policy Analysis: Privatization Policies in Britain, Russia and the United States,” Policy and Society, Vol. 25, No. 2, 2006, pp. 47-75. “The Origins and Transformation of Policy Ideas: Case study: Education Law of Armenia’, with Gayane Selimyan, NISPAcee Occassional Papers,Volume IV – No. 3 Summer 2003. “Investing in Corporate Securities: Prospects in Armenia,” with Gnel Sahakyan, Information Technologies and Management, No. 2, 2002, pp. 212-225 (in Armenian). “The Rise and Fall of Soviet Screen Bureaucrat,” Public Voices, 2000. Vol. 4, No. 2, Spring 2000, pp. 61-72. “Post-Communist Bureaucracies: Organizational Modes of Transition,” International Journal of Public Administration, Vol. 22, No. 1, 1999, pp. 69-99. “Public Administration in Ancient China: Practice and Theory,” Public Voices, Vol. 2, No. 1, Spring 1996, pp. 25-44. “Challenges of Economics and Armenian Economy,” in Yerevan State University Department of Economics Yearbook, Yerevan: YSU Publishing, 2013, pp. 5-11 (in Armenian). “Introduction” and “Government Regulation of Banking,” in Asatryan, Bagrat (ed.) Banking, Second edition, Yerevan: Gir Publishers, 2013, pp. 16-22 and 443-458 (in Armenian). Vache Gabrielyan and Gayane Selimyan, “Public Management Reforms: Armenia,” in Bouckaert Geert, Nemec Juraj, Nakrosis Vitalis, Hajnal Gyorgy, Tonnisson Kristiina (Eds.) Public Management Reforms in Central and Eastern Europe. NISPAcee Press, Bratislava, 2009, pp. 27-50. “Qualitative Research Methods: An Overview,” with Kaifeng Yang and Susan Spice, in Gerald J. Miller and Kaifeng Yang (eds.). Handbook of Research Methods in Public Administration, New York: Second edition, New York: CRC Press, 2007, pp. 141-171. “Five Great Ideas of American Public Administration,” with Marc Holzer, and Kaifeng Yang in Rabin, Jack, Hildreth, W. B. and Gerald J. Miller (eds.). Handbook of Public Administration, Third edition, New York: CRC Press, 2007, pp. 49-103. “Comparative and International Administration,” with George M. Guess, in Rabin, Jack et al. (eds. ), Handbook of Public Administration, Third edition, New York: CRC Press, 2007, pp. 565-605. “Capital Account Liberalization Experiences in Armenia,” with Armine Khachatryan, in Bakker, Age F.P. and Bryan Chapple (eds). Capital Liberalization in Transition Countries: Lessons from the Past and for the Future. Cheltenham: Edward Elgar, 2003.
International Encyclopedia of Public Policy and Administration. Jay Shafritz, Editor-in-Chief. Harper-Collins/Westview Press. 1998. Author/co-author of the following entries:“Outsourcing,” pp. 1590-1596. “Reforming Eastern European Bureaucracy: Does American Experience Apply?” with Frank Fischer, in Asmerom, Haile K. and Reis E. (eds.) Democratization and Bureaucratic Neutrality: Experience From Developed and Third World; London: MacMillan; New York: St. Martin’s Press, 1996, pp. 109-127. Günter Walzenbach is Comparative Political Scientist with commitment to high quality, interdisciplinary teaching and substantive research interests in economic policy coordination, global and regional governance, the external relations of the European Union; specific country expertise on Armenia, Ukraine, Germany and the United Kingdom. ‘The Maintenance of Executive Capacity in Germany: Revisiting the Annual Budget of the European Union’, Public Administration 79 (2), pp. 383 – 401, 2001. Arthur Drampian is Adjunct Senior Lecturer at the College of Humanities and Social Sciences. He has been affiliated with AUA since 1998. Dr. Drampian’s primary areas of interest are decentralization and local governance, public finance and budgeting, local economic development, environmental policy, public participation in government decision-making. 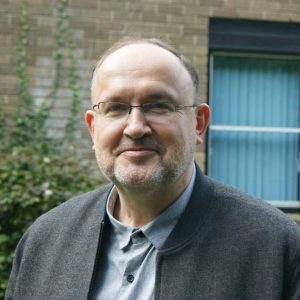 Arthur Drampian holds PhD degree in Biology from Moscow State University (1987) and Master’s degree in Sustainable International Development from Brandeis University, Massachusetts (1997). 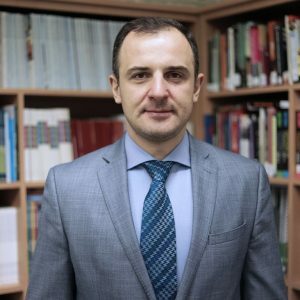 Dr. Drampian’s publications on municipal finance and local government issues were published in Armenia and foreign journals. 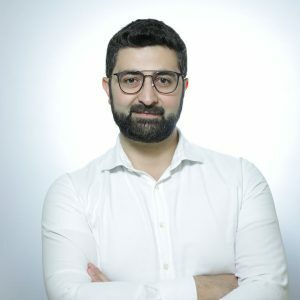 Hovhannes Nikoghosyan specializes in global order and international security, and has keen interest and research experience in human rights and armed conflicts, international criminal responsibility for erga omnes crimes, as well as Responsibility to Protect. He is a graduate of the Russian-Armenian (Slavonic) University with MA in International Relations and PhD in Political Science (2011). 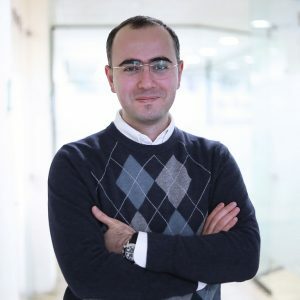 Before joining AUA in January 2015, he worked as a Visiting Fellow at the Center for Strategic and International Studies (Washington DC), Magdalena Yesil Visiting Scholar at Sanford School of Public Policy, Duke University (Durham, NC) and has completed an Advanced Certificate Program at the Fletcher School of Law and Diplomacy, Tufts University (Medford, MA). Between May 2017 and April 2018 he served as Aide to the President of the Republic of Armenia. 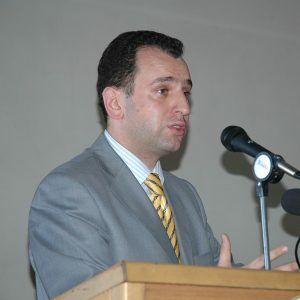 Dr. Nikoghosyan is author of a number of peer-reviewed papers and expert reports published in Armenia and abroad. “Great Power Interventions and the Future of Responsibility to Protect”, Valdai Paper #74, August 2017. The Upheavals in Libya and Syria, and Their Impact on “Responsibility to Protect” Doctrine, Turkish Policy Quarterly, Volume 12(1), Spring 2013. How to move forward in Nagorno Karabakh after the Four Day War, ELIAMEP Briefing Notes 48/ 2016. Arpie Balian specializes in public administration, policy planning and development. 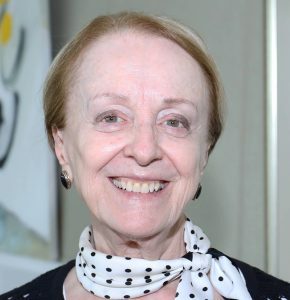 She studied at the American University of Beirut, American University in Washington, D.C., and received her doctorate in policy, planning and development from the University of Southern California. 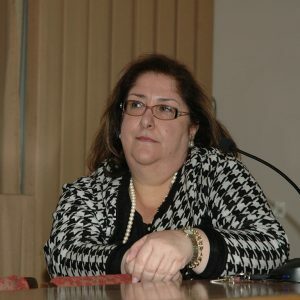 Prior to joining AUA, she has taught in various institutions in Armenia and abroad and also has served as director of planning, budget, and evaluation in the U.S. government. Dr. Arpie Balian is the author of numerous studies and publications on policy analysis, evaluation and development. Her current studies include Globalization and national identity; Motivations of individuals to run for office, and Social impact of migration. The Concept of Clustering in Development: Challenges and Benefits (Commissioned Study), 2010. Summative Evaluation of Rural Program for Children with Special Needs, Mission East (Commissioned Study), 2009. The Challenges of the Millennium Development Goals for Developing Nations, UNESCAP 2008. The State of Income and Employment Generation Programs within Millennium Development Goals, 2007. Measuring Development Progress, UNESCAP 2007. Clustering in Rural Development: A New Model for Optimizing Use of Resources and Community Assets, 2006. Strategic Management in a Performance-Based Organization, USC 2005. Does Changing the Examination Process Affect Pendency: A Formative Process Evaluation, USPTO, 2004. The Impact of the Government Performance and Results Act of 1993 on U.S. Civil Service, USPTO, 2003. Does a New Form of Governance Change Management Attitudes in the Civil Service, Commissioned White Paper, USPTO, 2002. Would Performance-Based Management Work in the Public Sector? USPTO, 2002. Re-engineering the Federal Budget Process, USDOC, 1998. A New Approach for Improving USG Procurement. USDOC, Washington, D.C., 1996. Budgeting for GPRA: Creating a Government that Works Better and Costs Less. USDOC, Washington, D.C., 1995. Toward a New Accountability Framework in the Third Sector. Commissioned study, ARS Inc., 1991.